Other than very old devices, most Garmin GPS’s are compatible with T4A maps. The Garmin Edge 820 is, however, an example of a device that is incompatible; if your try to load the T4A GPS Maps onto the device’s internal memory, the T4A GPS Map might wipe the Topo Map that is pre-loaded on the GPS. The legend is back… the 276Cx is back on the market and as popular as ever. Which GPS is best for T4A GPS maps? Have a look at the blog article that will help you to choose the right GPS for your needs. 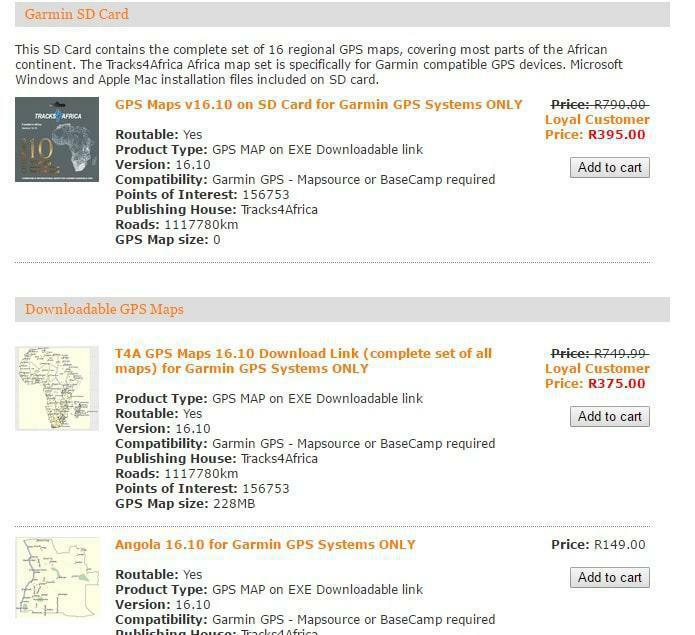 Will I be able to install my Tracks4Africa GPS Maps on my Windows or Macbook PC? It is very convenient to have Tracks4Africa maps on your computer for trip planning. See the blog article on how to plan your route. The T4A maps are compatible with Windows and Mac operating systems and can be installed on your PC or Mac from the installation files on the T4A Traveller’s Maps SD Card. Once you have installed it on your computer, you can transfer the maps to older Garmin units such as the 276c, 76csx, eTrex, etc. Mac users should note that the OS X Lion 10.07 and Lion 10.7.5 operating systems are not compatible with the T4A maps. In order to install the T4A maps on your system you will need to upgrade to the latest Mac operating system. How do I upgrade my existing Tracks4Africa maps? The T4A maps are updated every six months in May and in October but you can update your version whenever you like. 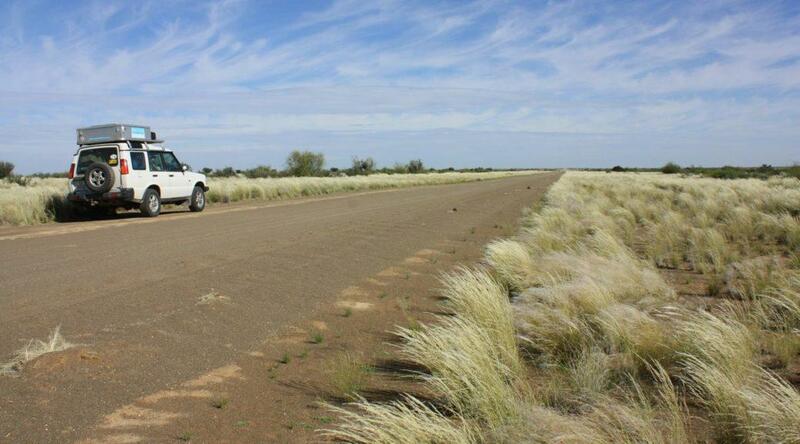 When you purchase Tracks4Africa maps, you are entitled to a once-off free upgrade. If you have registered your SD Card on the T4A website, we’ll send you a download link when you are due for your free upgrade. Click on the link and follow the prompts to download your upgrade. This upgrade will be for the very next release following the one you have purchased and is not transferable. This means that if you have bought version 16.10 (October 2010) you will receive a link to upgrade version 17.05 (May 2017) free of charge. For any other upgrades you will only pay half price. 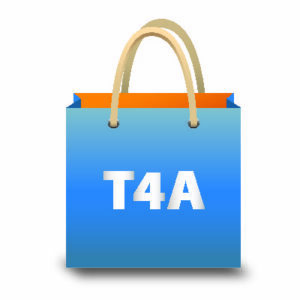 Once you have registered on the T4A website you can at any time log in and either buy the new version via a downloadable link or buy the map on a SD Card, which will be couriered to you. Online shopping is quick and easy on the T4A website. Is it possible to search for street names on my Tracks4Africa map? 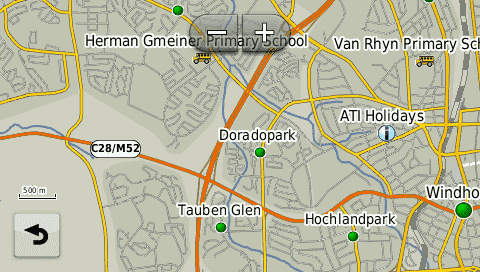 T4A maps are not street maps, however, you can search for streets that are labeled on the map. 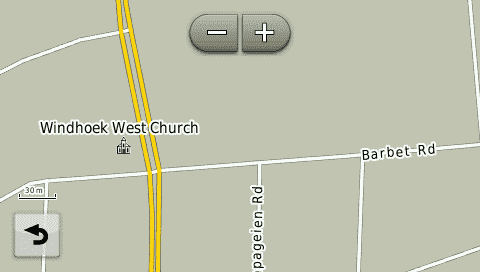 Whilst street names labeled on T4A maps are searchable, street numbers aren’t. 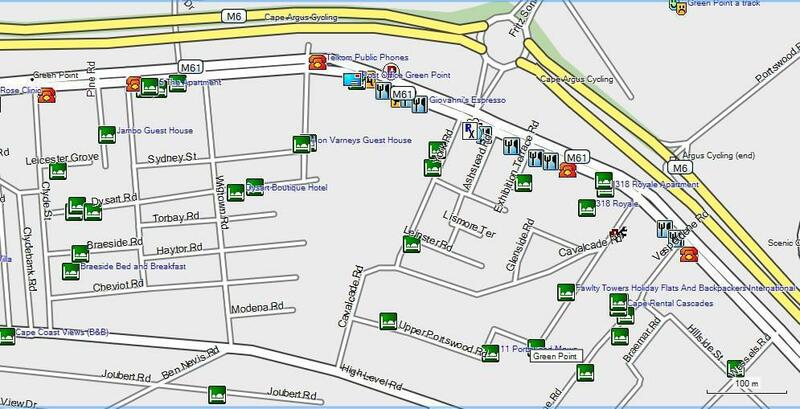 Huge improvements were made in the last two map versions to urban street coverage in South Africa as all suburbs were added as searchable points. Can I use my T4A GPS map on my car’s onboard navigation system or on my phone? You can only use your T4A GPS maps on a Garmin GPS. However, you can buy the same map data for your phone, tablet or iPad. You can get the T4A Overland Navigator App for Apple devices from iTunes and for Android devices from the Google Play Store. These maps have just been updated. The T4A map is not compatible with iGO in-car navigation systems, Android or iOS devices as each device uses its own operating system. In-car navigation systems are divided in two general categories, those that are supplied by the manufacturer of the vehicle and those that have been fitted aftermarket. T4A maps are not compatible to factory fitted systems; the manufacturer of the vehicle is the only entity which can provide maps. In the case of Toyota they do have their own proprietary system and no 3rd party can load maps to these units. T4A is compatible to some aftermarket systems that uses IGO software. To date the iGO software with T4A maps have been tested and compiled for the Caska (in-car navigation) hardware. Planet Electronics provides T4A software with the Caska units. Is it possible to have both the Tracks4Africa maps and the Garmin Street maps loaded on my GPS? Yes, you can have both map sets on your Garmin GPS device, but you can only have one map set selected at a time otherwise your GPS device will give navigational problems. Most people who have complained to T4A about the map not working correctly had two maps selected simultaneously on their GPS’s. Note that some of the Garmin GPS units have the Street maps pre-loaded on the internal memory of the GPS unit which can be overwritten if you send the T4A map to the internal memory. Especially in older units it is best to backup your Street maps on a SD Card before you send the T4A maps to the device. If your Street maps aren’t pre-loaded on your GPS and you wish to have both the Tracks4Africa maps and the Street maps on your GPS, it is best to transfer the Street maps to the internal memory and use T4A Maps on the SD Card. The GPS will only search for POIs within a certain radius (typically 1 000km) of your current location and won’t pick up any POIs outside of the radius. To solve this problem, you have to set the GPS to Demo/Simulation mode by going to Settings > Navigation. Then set a New Location to a point closer to the area where you want to search for POI’s. Select a New Location by pointing the arrow to a position on the map and select Enter. You will then be able to search for POI’s within the radius of the new location that you have just entered. On the Garmin Nuvi range you will have to zoom into the map to about 30 – 50m to see any POIs displayed. Garmin Nuvis are city navigators and will therefore not display all your POIs at the same zoom level as an outdoor GPS unit would. 500m zoom level on a Nuvi GPS. 30m zoom level on a Nuvi. To avoid cluttering the newer Nuvi units were purposely engineered to limit the number of POIs that display on the screen. For that reason you won’t be able to see all POIs at the 80m zoom level. To view POIs on your GPS, either search for the point under ‘Where To’ (on the main menu), make a waypoint on the GPS or transfer a waypoint from MapSource/BaseCamp in order to have the POI displayed on the map when viewing. How can I submit data to Tracks4Africa? If you found the T4A map useful and also want to become part of the mapping community, please share your trip data so that other travellers can also benefit from it! See this useful article on how to submit your data to be incorporated into the T4A maps. The above are the most frequently asked questions to the T4A support staff. Have a look at the FAQ page on the T4A website for more answers or, if you prefer, phone Tracks4Africa at 021 880 8660 for support. You can also mail your question to sales@tracks4africa.co.za. 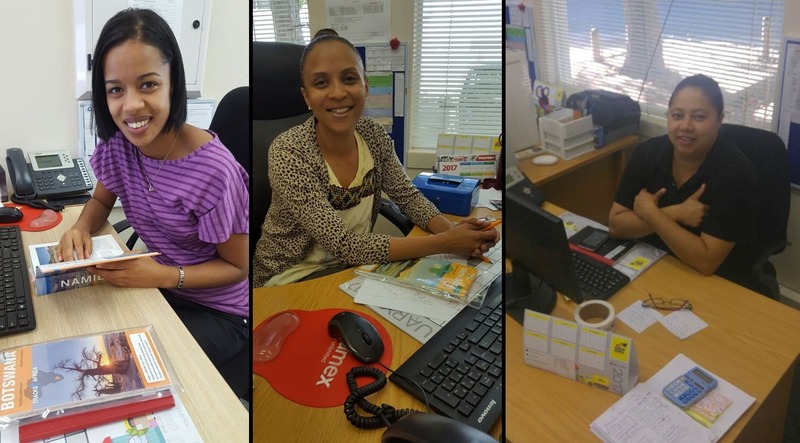 The friendly T4A support staff are, from the left, Christell Jantjies, Qadirah Moerat and Melanie Likwa. Thanks I appreciate the prompt reply. Hi Karin, I am planning a trip though Moz, Tanzania, Zambia and back. I already have an ipad and iphone, what would the disadvantages be of using these with T4A maps instead of Garmin/laptop? James, some people who are used to a GPS prefers its functionality and the way the map displays to that of the iPad/iPhone. However, there are many experienced overlanders and longstanding GPS users who are happy with using the Navigator App with T4A maps on their iPads/iPhones. Most probably one of the biggest disadvantages of using the app rather than the GPS is that it is not easy to record your tracks. Is it possible to install Tracks4Africa on let’s say my work laptop (Windows) and my Macbook (Mac) at home without having to make two purchases? You can indeed install the Tracks4Africa map on both your laptop and Macbook without having to purchase it twice. MapSource/BaseCamp differ for the two operating systems, but once you have downloaded that on your laptop/Macbook you can download the same T4A map on both devices. If you have any trouble, contact our support team on 021 880 8660. Karin why when I zoom in on the T4A Overland Navigator App are some of the names partially blocked out? For an example zoom into Francistown and only part of the name is visible. It has to do with the different map tiles and different zoom levels. Some map data automatically has preference above others at certain zoom levels.